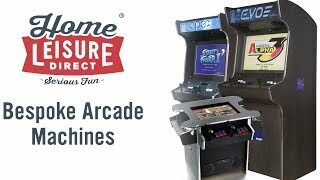 At Home Leisure Direct we offer the largest selection of arcade machines in the country, with a huge selection in our Bristol showrooms, all set to freeplay so you can try them out for yourself. Our award-winning team are all experts on arcade machines and will be able to advise you on the right machine for you, whether you’re looking for a brand new arcade machine, a classic used arcade machine, a vintage arcade machine from yesteryear or a versatile multigame arcade machine. We have a fantastic selection of multigame arcade machines on sale, many of which are on display in our showroom. Perfect for anyone looking to get a machine that will be able to play a variety of classic games from the golden age of arcade machines, multigame arcade machines are pre-loaded with a selection of games that will typically include favourites such as Out Run, Pac-Man, Donkey Kong and more. Although arcade locations don’t have the popularity they once experienced, there are still plenty of manufacturers making new arcade machines for the home and public markets. We work with all of the manufacturers working in the arcade industry today, including big names like Sega and Namco, to be able to supply brand new arcade machines that represent the very latest technology in the field. 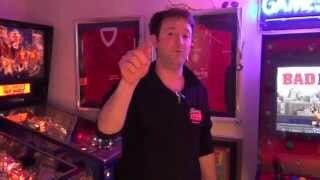 For those who want the authentic experience from an arcade machine, we have a great selection of used arcade machines for sale which have been fully reconditioned. Many of these used arcade machines are modern machines that have been used in real arcades, ranging from traditional stand-up machines to driving games with full-size cockpits. Wherever possible we use original parts in machines, though sometimes we repair or even enhance them with modern components; for example, some machines are fitted with LED displays to replace the CRT monitors that were common in the 80s and 90s. We keep a stock of vintage arcade machines whenever possible, though these machines are becoming increasingly rare. 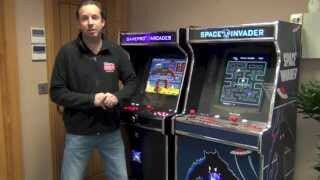 Games such as Space Invaders, Galaxian and Defender are tremendously popular with people looking to recreate the classic 80s arcade experience, and a vintage arcade machine can be the centrepiece of any games room. We also stock replicas of classic machines, which look and play exactly the same but are made with modern components for purposes of reliability. If you want a machine that looks the part but without the wear and tear of an 80s original, these replicas are perfect. We know that it’s important to get the arcade machine you want, to relive all those fantastic arcade memories. Many of our machines are available with a choice of options, including custom finishes and decals for the cabinet, glowing buttons and compatibility with modern consoles. 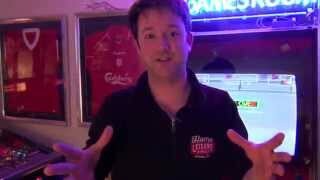 We can also include any particular classic games you might want on some multigame machines, if they are available. If you have any requests for customisation of any kind, please call our sales team on 0800 622 6464 or 01454 413636 and we’ll be happy to talk through your options. We understand with busy schedules, family life and work commitments not everyone can visit our showrooms. 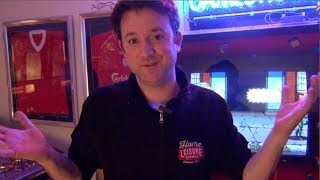 If you are unsure about any aspects of your new arcade machine, just call the team who will happily help you over the phone. We will give you all the advice you need, and we will never misrepresent an item just to get a sale. You can trust us to offer you honest advice, all of the time, so that there are no unwanted surprises when your item is delivered. We believe visiting us will be the most fun showroom visit you will ever have. Whether you’re looking for a classic used arcade machine, a brand new multigame machine to play all the classics or one of our other fantastic games room products, we look forward to welcoming you soon with a freshly brewed cup of coffee and a truly enjoyable experience. Take our Showroom Tour to see what awaits you. 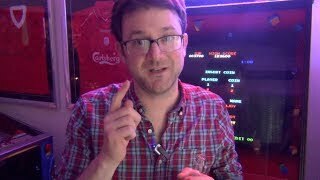 Buying an arcade machine can be a real investment, so let us make that easier for you. We offer Buy Now Pay Later and low interest payments (19.9% APR) on most of our machines, with no deposit to pay upfront and flexible payment terms (subject to acceptance). Please see our terms and conditions for more details. We work hard to make sure your arcade purchase is as stress-free as possible from start to finish, and having our own delivery service takes away a major headache that might occur with other retailers. Our new arcade machines are collected directly from the manufacturer and transported straight to you, giving us full control over the process and ensuring your machine is treated with the greatest of care before it gets to you. Our refurbished arcade machines are fully serviced from top to bottom, using original parts where possible and high-quality replacements when necessary, and then transported to you by our expert delivery team.